If you think about it, human beings are very peculiar. We tend to be emotionally attached to our homes and the things inside them, from the stuffed animals of our childhood to the photograph albums that record memorable moments. But when it comes time for us to sell our home, all of that stuff can really get in the way. 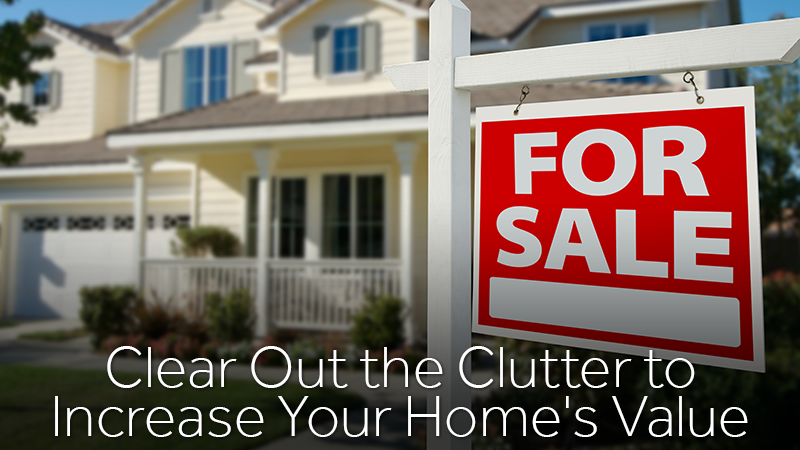 Did you know that you can increase your home&apos;s selling value by using simple declutter and home staging strategies in your home? You can also use portable storage options to keep those treasured items safe for moving time. We&apos;ll go through the process room by room so you can give your home a fresh start for its new residents and make your life a little easier. This room is an excellent place to begin our decluttering strategy. Clear out all the countertops and store small appliances like toasters in the cabinets. Keep only the bare essentials that you can eat with inside your cabinets and store everything else in boxes. Potential buyers love to look into cabinets to see what their storage capacities are, so make sure that they are squeaky clean inside! If it seems like you don&apos;t have to do much to your living room, think again. Tour through a model home to see how they decorate their living spaces and mimic their style. Does your space have more furniture than theirs? It&apos;s time to store it, then. 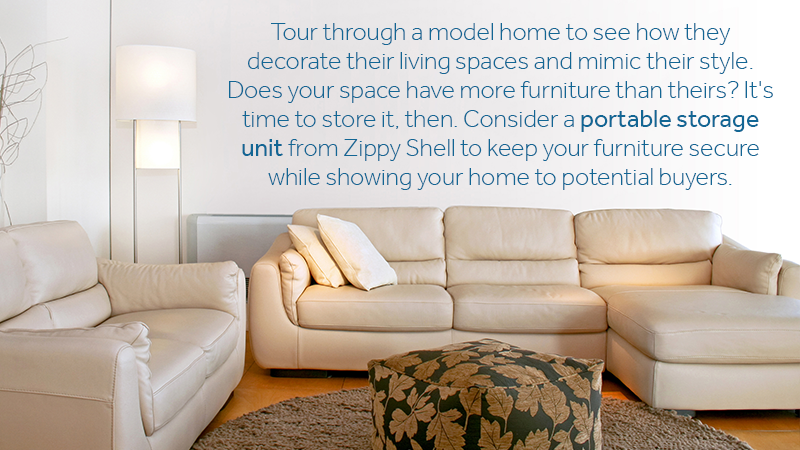 Consider a portable storage unit from Zippy Shell to keep your furniture secure while showing your home to potential buyers. What is your closet but a tiny little room? One of the most effective ways to clean out closets is by selling your extra clothes or donate them to the local shelter and score double points. If you don&apos;t have time, store them in plastic bins instead of boxes to keep them fresh. If you still need these items on hand, store them in the attic or the garage. However, seasonal attire can be added to the storage shell and taken to Zippy Shell&apos;s facility to free up more room in the house. Bathrooms might not be high on your list, but this is an area of the house that can get extremely cluttered, and fast. Like you did with the kitchen, clear off the counters by tucking things away in drawers or the linen closet. Speaking of which, make sure it&apos;s nice and tidy in your closet — use storage bins to create a clean, organized look. Like the storage tips that you see here? Learn more about Zippy shells by contacting us today! We look forward to hearing from you and helping your move.